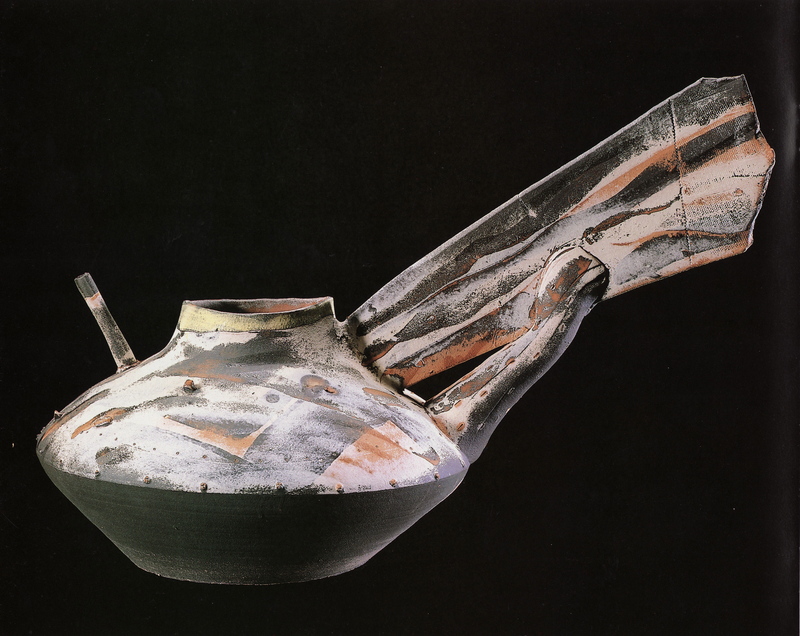 Steve FULLMER (American, b.1946), Tabasco Canyon, 1985, glazed pit-fired stoneware. 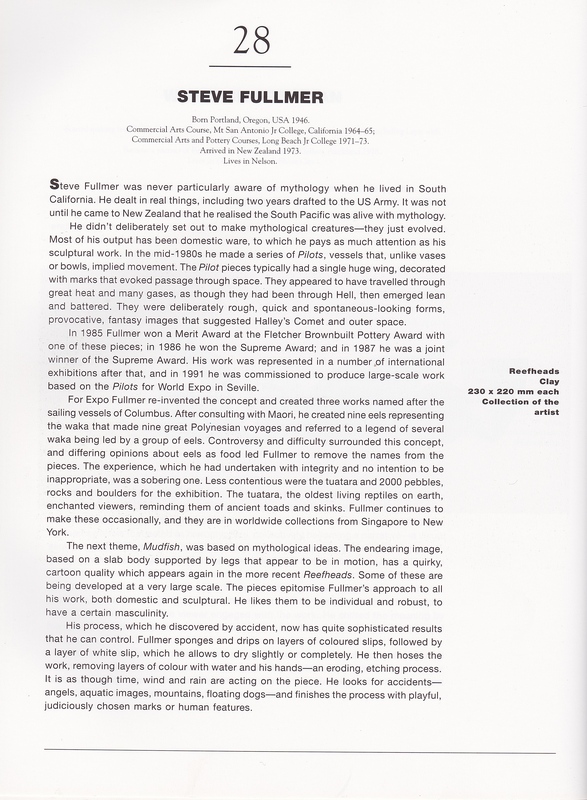 Collection of The Suter Te Aratoi o Whakatū: purchased in 1985. Acc. 757. 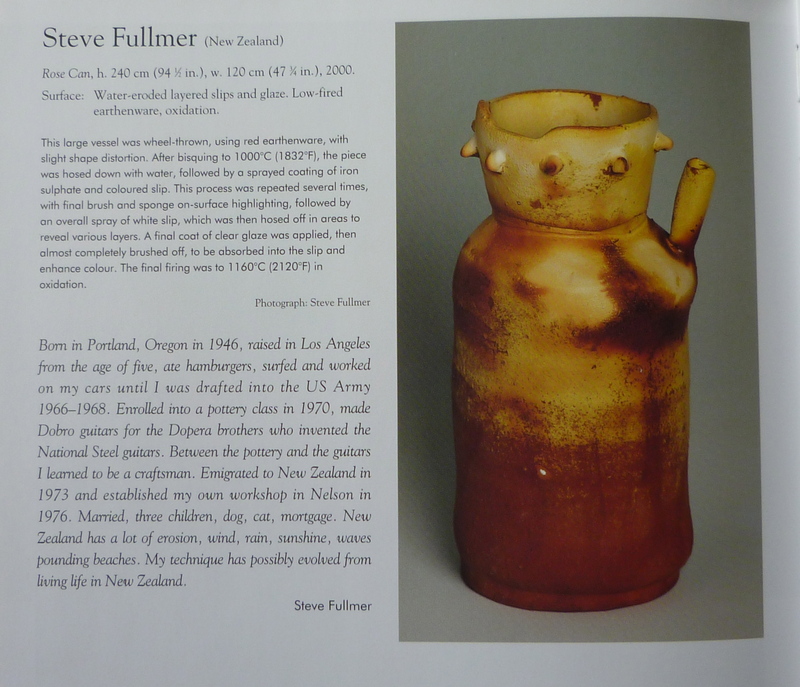 Steve Fullmer is one of New Zealand’s leading ceramicists. 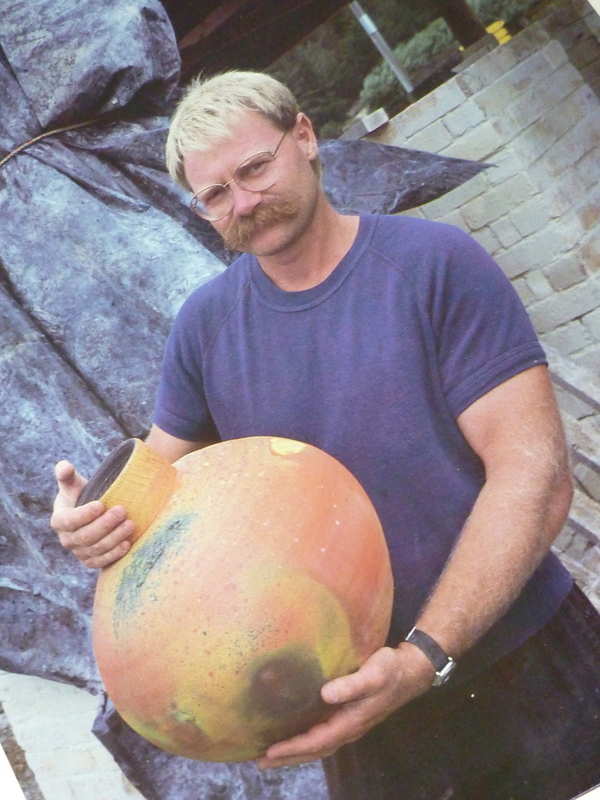 In Nelson, a region renowned for its ceramics, he stands out for his innovative works and passion for clay. 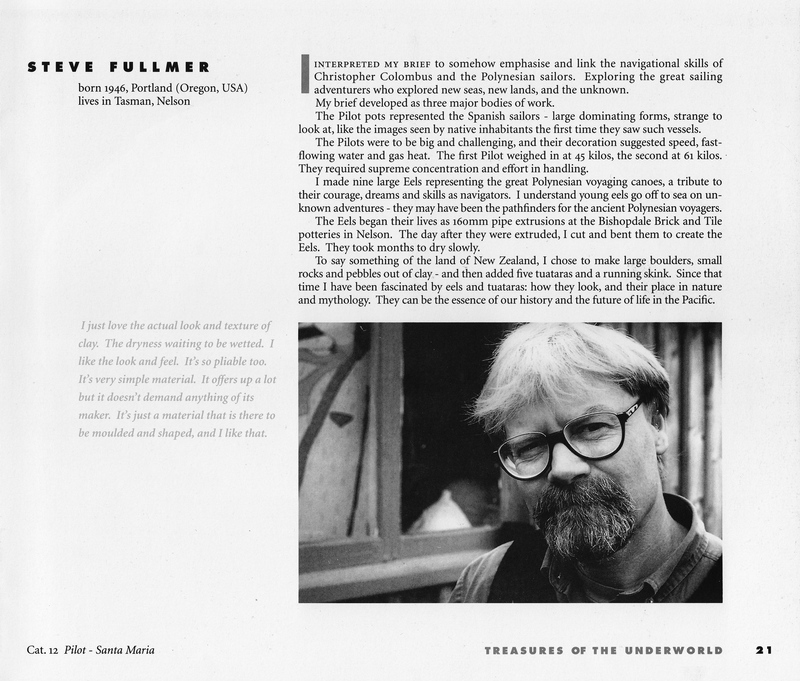 Fullmer’s career as a ceramic artist spans over 40 years and The Suter is thrilled to present a retrospective of his practice. 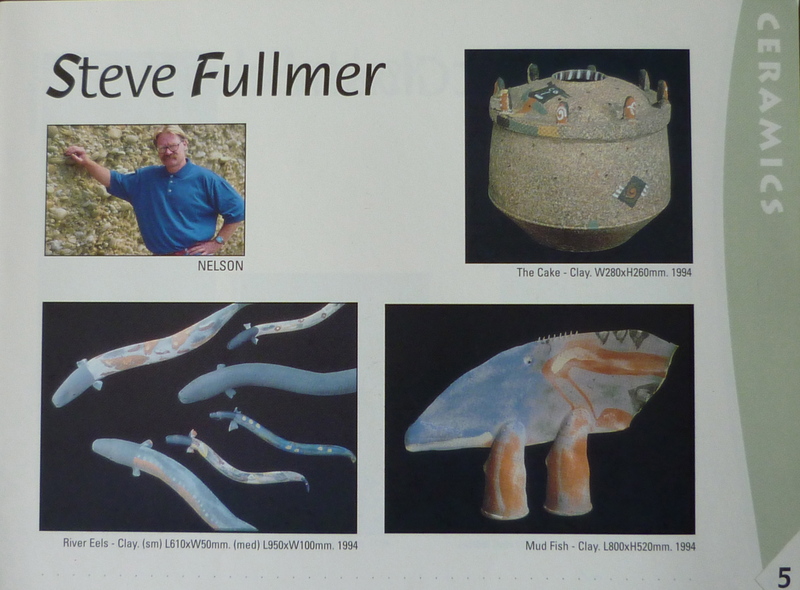 You can see Steve’s work at the Suter Gallery in Nelson in the Fire & Earth, Body & Bone exhibition from Dec 9, 2017 – Feb 25, 2018. 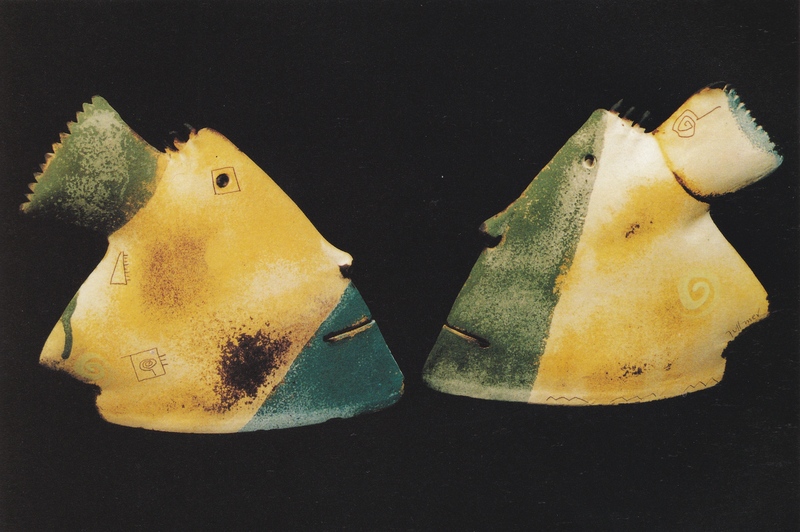 The exhibition features selected works from leading ceramic practitioners from the Top of the South – the Nelson and Marlborough regions. 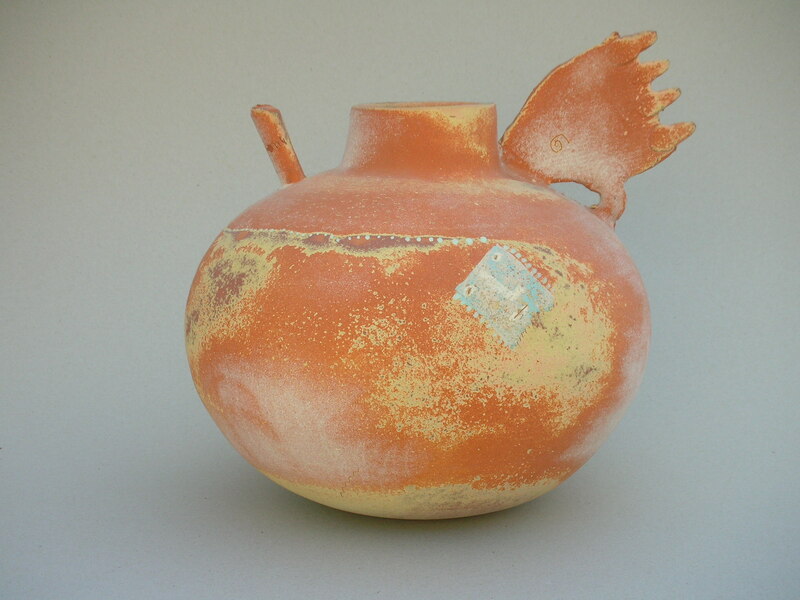 “Angel” by ceramic artist Steve Fullmer: an example of the more innovative, purely decorative pots made in recent years. Good photos of your work and esp like the bottom with artist and pot. Seeing your beautiful mudfish has reminded me of mine- bought many many years ago- now smashed in the Chch quake- could another be made , and at what cost please? would you make a couple of large vase/lamp base containers in the style of the above water jar? Unfortunately it would be quite difficult to copy that jar as it was fired in a wood fired kiln many years ago (mid 1980’s). Steve thinks he could try but is doubtful of whether it would be successful as we have an electric kiln now. You are welcome to phone him and talk about it (03 5266765). Hey Steve, Haven’t been in touch for a very long time. Today I bought a ‘latte bowl’ of yours from Vessel. 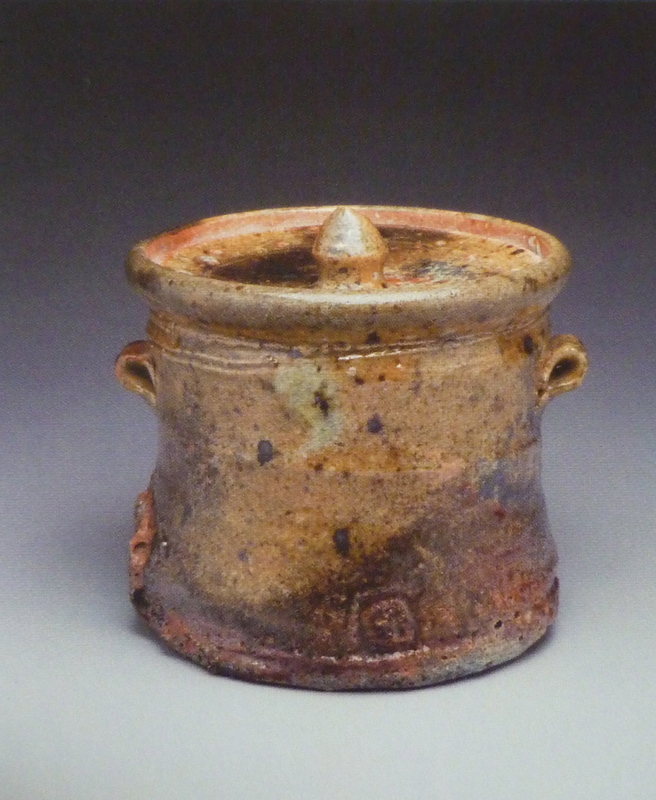 It is lovely holding it in my hands and thinking back to heady times with potters in the early 1980s. It is great to know you are still working and coming up with more crazy funky stuff.